GLS is the only language school in Germany with a 16.000 m² campus, including a historic swimming pool and the option to live on campus while learning German in Berlin. The park-like campus is a GREEN OASIS in the very center of Berlin, in über trendy Berlin Prenzlauer Berg. GLS has been voted Star School Germany i.e. best German language school in Germany 5 times. The GLS campus re-establishes a historic block of buildings in the center of Berlin. Designed in the 19th century, when Berlin´s population was growing rapidly, the block originally accommodated a high school and a public bath house (today the hotel). You can start your German course in Berlin at the GLS German language school every Monday – on all levels. 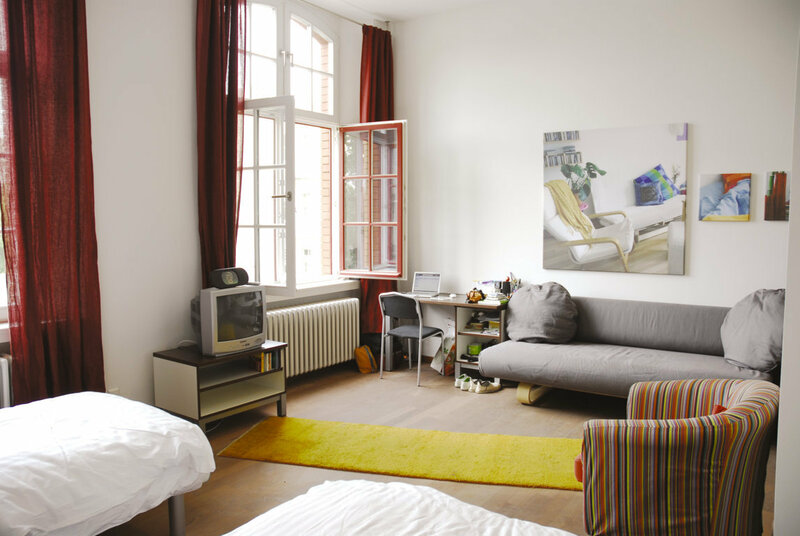 If you need accommodation while learning German in Berlin, have a look at the housing options we offer, both off and on campus. All German courses are complemented by after-class activities in Berlin. Just select one of the course options below. The German courses listed below train general German in small groups. You will get individual attention and teachers will make sure that you learn German fast. All German courses are complemented by after-class activities in Berlin. The GLS campus in Berlin offers a true business class environment for professionals who want to learn German for their career. The school gets you ready for the most important German language certificates: TestDaF, telc German and the Goethe certificates. Very convenient – the apartments are in the garden just behind the language school. You can book an apartment all to yourself or share it with another GLS student. All rooms are stylish and modern, but the historic flair lingers on, in carefully restored design details like lamps, tiles and doors. The tower apartments and the rooftop maisonettes are bookable single or shared (with another GLS student). Share a Berlin flat with other GLS students. GLS operates several flats in Berlin, reserved exclusively for GLS students. All flats are fully equipped with kitchen, bath, TV, WiFi – some of them additionally include living room, phone, washing machine or dishwasher. The cheapest option if you want an apartment all to yourself in Berlin. Ideal if you want to practice your German “at home”: You have a single room in a flat you share with Germans.